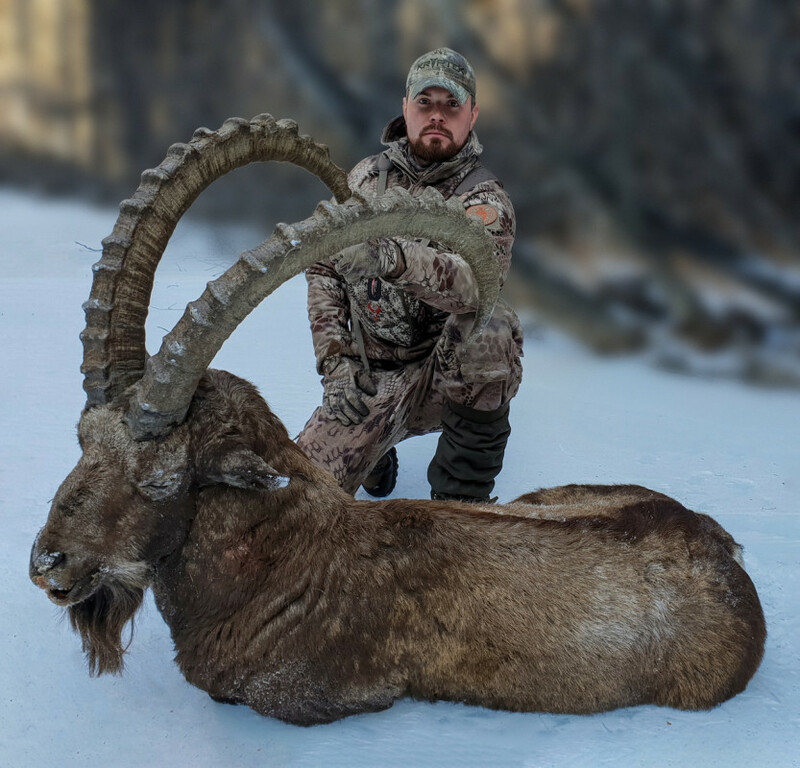 December is the last hunting month for ungulates in Kazakhstan. This period is favorite among hunters and not only because of the last opportunity to close the license. The goats leave the hard-to-reach mountain peaks and go down to the leaf area at that time. It’s easier to wait out bad weather there. Though there are some animals which stay on the height if there are enough food and open places. 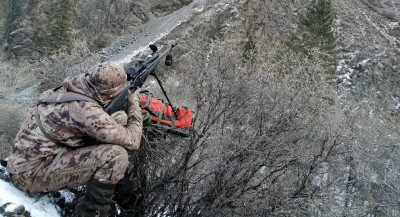 I had one license for the Siberian Ibex and decided to hunt in Almaty region before the New Year holidays. I decided all organizational questions with my guide and started to prepare for the hunt. 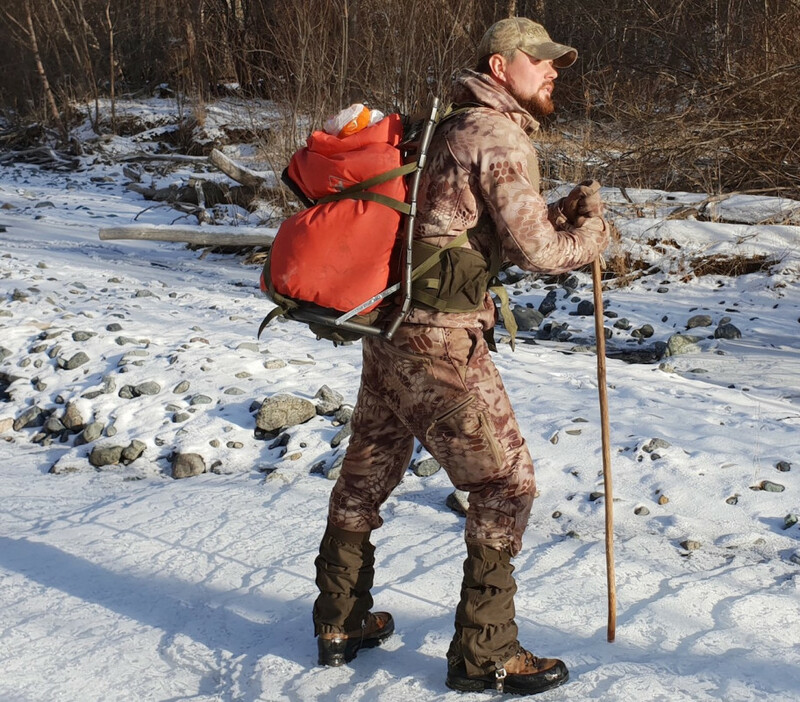 Day temperature was always below zero that’s why I chose the warm clothes from the activity range clothes. I use Kadog model of the well-known hunting brand Kryptek for many years. These clothes suit well for the cold weather, even -15C and keep you warm and dry, especially when you add sweat-wicking and breathable Merino underwear. My list of equipment: sleeping bag (one for me and another one for the guide, sun-glasses (must have), a couple of shovels and chains. I always use chains just for the back wheels, good winter spikes tires work well on the ice road. That’s all, everything is ready. Mountains wait for us. I picked up the guide at 10 pm not to waste time in the traffic jam. We drank some coffee and refueled the car on the way. The road was dry and comfortable in comparison with the way back, we talked and discussed plans for tomorrow morning. I’d been in that hunting grounds before and knew where we’d hunt. The only thing, which I worried, was the place near foothills where the river is covered by ice and it’d be difficult to cross it. We turned away from the road and put on chains just not to make it on the slope. There were not much snow in the gorge but we pushed through it few times. The chains helped us on the ice. It was strong and we crossed all dangerous parts without any problems. It took us three hours to drive to the base camp (the place where we were going to leave the car). There we drank tea and went to sleep. We had enough time and woke up with the first sunrays. Our plan was to track down animals. For the breakfast we drank tea and eat buckwheat with bear’s meat. We went to the mountains following the wild pig tracks and noticed two roe deer on the opposite slope. They lay across each other watching for predators. We walked about six km and gained 400 m altitude when used the binoculars. The first group was noticed in 3 km from us. It included 5 female goats and the young male. We watched for them for a while and went on further. Our goal is an adult male. There were some males here according my experience and guide’s talks. We saw the group of snowcocks while walking. It’s was interesting contrast when all northern slopes were covered by snow but you could seat and take the sun bathe on the southern one. We came down to the car and decided to change the location and drove to another gorge. The slopes there were steeper but I could observe more tracks there though they were far. We are the strong guys and used to conquer mountains. I gave my frame backpack to the guide and it helped us in future. It was sunny freezing day. We saw lots of tracks on the snow and the higher we walked the more fresh they were but didn’t notice animals. We walked about 15 km and climbed 600m height when saw the group of Ibexes. There were 3 trophy size males with good horns and three females with two cubs. They grazed on the opposite slope through the gorge. It was unusual that they were so close to the forest. I started to creep them up and shortened the distance to 500 m. It’d be possible to shot but I’d prefer to come closer and increase my chances to hit the aim. The unsuccessful shot could dream all your life time after time. I dislike shooting through the gorge because you don’t know how the wind will blow. It’s difficult to define its destination if there isn’t any grass on the slope. I snuck like a leopard and looked for the place where I could shot. There weren’t any big stones or trees and suddenly I thought about the backpack. It was a good idea and asked the guide to take it off. I measured the distance –about 380 m and angler of 35 degrees. The guide bent down the bush and put the backpack on it and I pushed the bipod. The constriction was so unstable but I didn’t have choice. The Ibex stood breast to me. The finger slowly pulled the trigger,The gunsight reticle waved in the right place. I shot! Silence! I heard the guide’s voice- Miss! How could I miss it? But the next moment he shouted- No! You got it. I forgot about cold, distance and thirsty. Looked to the animal through the scope sight, it was lying behind the bush. Other animals left the place slowly and disappeared behind the pass. I took the gun and went for the prey. The Ibex was dead. I asked him to forgive me and paid tribute to Bayanay. We pulled the meat down, drank tea and had a short rest. It took us time to cut the meat from the bones. They were too heavy to carry them to the camp. Then packed everything and went the way back.